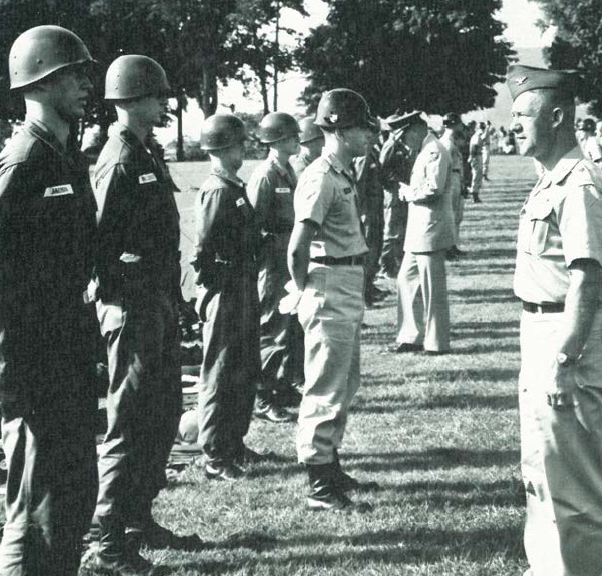 West Point Class of 1969. The extraordinary stories of those ordinary Americans and their families. The year is 1965, as US Marines move into Vietnam for the first time and Martin Luther King attempts to march from Selma, Alabama, to Montgomery, over a thousand ordinary young men from all over America gathered at a small college in upstate New York. They came from across the nation. They were farm boys, athletes, scholars, boys next door. They wore ball caps and cowboy hats, boots and running shoes. For a time, they wore grey and learned to lead. 1434 days later, the 800 young men remaining spread out across the world making friends, building families, and sharing experiences that none of them could have imagined that first day they came together – ordinary guys doing extraordinary things wherever they were sent. This is the story of men who live next door, who attend your church, walk your streets. Their lives would help shape and be shaped by the changing world in which they lived. These are the extraordinary stories of those ordinary Americans and their families. The Days Forward showcases stories that you never knew you would be interested in, from and about people you never knew you’d want to know. Our stories cover from June, 1969 continuing to the present. These are the stories of the lives and times of the West Point Class of 1969 and their families.